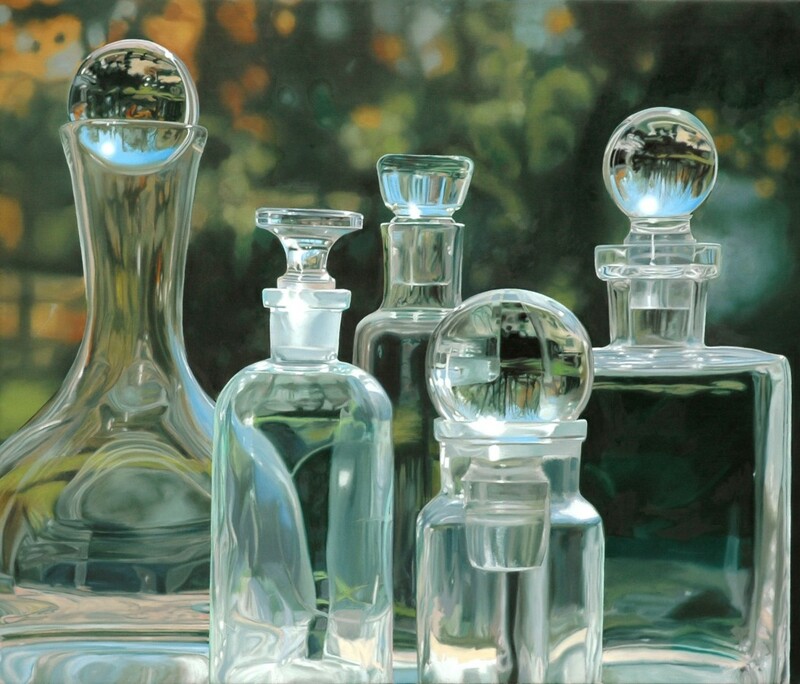 Photorealist artist Steve Smulka continues to bring stunning illumination and realism to his larger than life compositions of glass jars and bottles, his trademark subject, as he presents his new body of work. 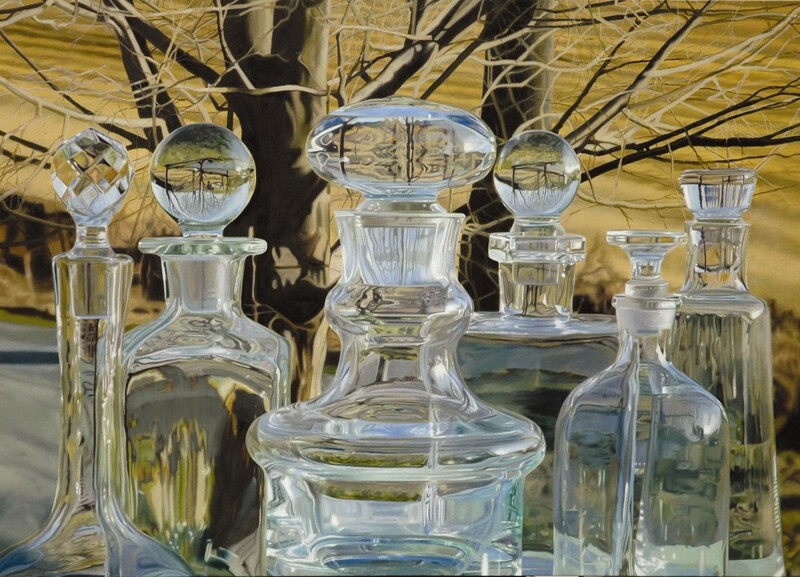 In this show, Smulka once again allows the glass to act as a mirror as it reflects back to us all that it sees: the time of day, the surrounding landscape and even the seasons are captured in the detailed reflections. Vintage mason jars, hurricane lamps and old soda siphons take on an almost magical quality as he explores the canyons of light and reflection within them. 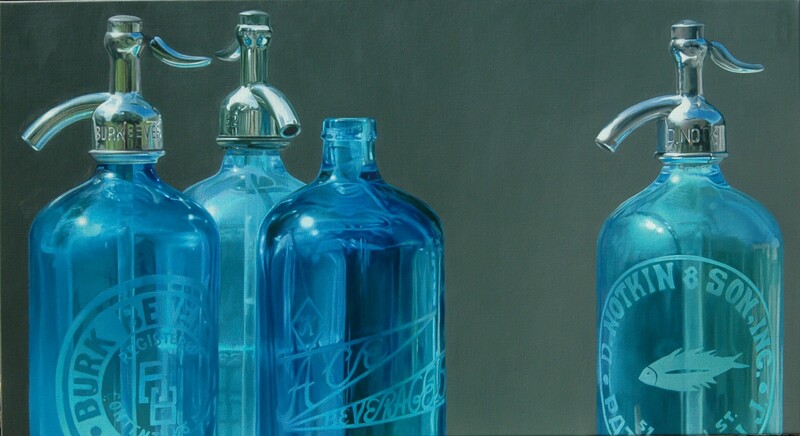 Having studied at the School of Visual Arts in New York under renowned photorealist Chuck Close, Smulka experimented with different techniques before returning and remaining true to photorealism in the early 90’s following a trip to Italy in which he was greatly influenced by the style of the old masters. At the same time Smulka and his wife began collecting antique glass. As the collection grew so did the artists affection for this versatile material. Steve Smulka currently lives and works outside New York City and teaches once a week at the School of Visual Arts in New York City. 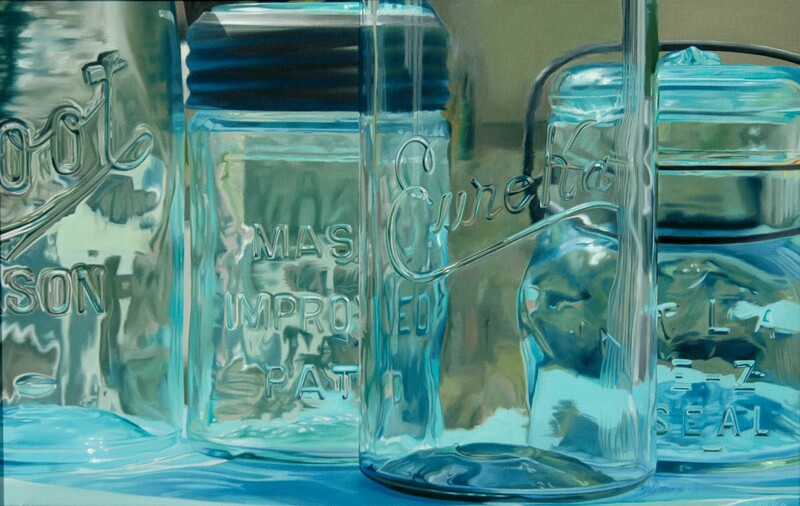 His work is collected by some of the nation’s largest corporations, including Mobil, Oppenheimer & Co. and the Continental Group.